Boats! There’s no escaping it — if you’re in Venice you’ll be traveling on the water. How much depends on where you stay and how you prefer to get around. The city itself is pretty well connected by little bridges so you could theoretically walk most of the island. We spent an afternoon winding through it’s narrow streets and I can confirm it’s by far the most fun city to get lost in. Traveling by boat does offer some great perks though. For one, Venice as seen from the water is beautiful with building facades of every color rising straight out of the water while gondolas glide by. One night we even got to catch a lightening storm over the city from our ferry ride home. Secondly, there are some amazing spots nearby that you can only reach by boat. Giudecca, the island we stayed on, the small fishing island of Burano, and one of the most stunning cemetaries I’ve seen are just a few examples. For those reasons (and because, well, we love boats), we opted to get unlimited boat passes. If you’re going to be traveling around a bit it’s much more economical than single use tickets. And though they didn’t seem to check tickets that frequently, it was nice not to be worried that we’d be caught sneaking on board. Budget Tip #1: Turning 30 this year? Go now! 3-day unlimited passes are 30% cheaper with the Rolling Venice card, which can be bought by any non-resident with a 29 y/o or younger ID. Budget Tip #2: Italy actually has a number of different railway lines. We used Italia Rail and Tren Italia. If you’re arriving by train, shop around at the station; you can sometimes catch a deal on one of the less-advertised lines. You’ll also avoid paying the online purchase fee. 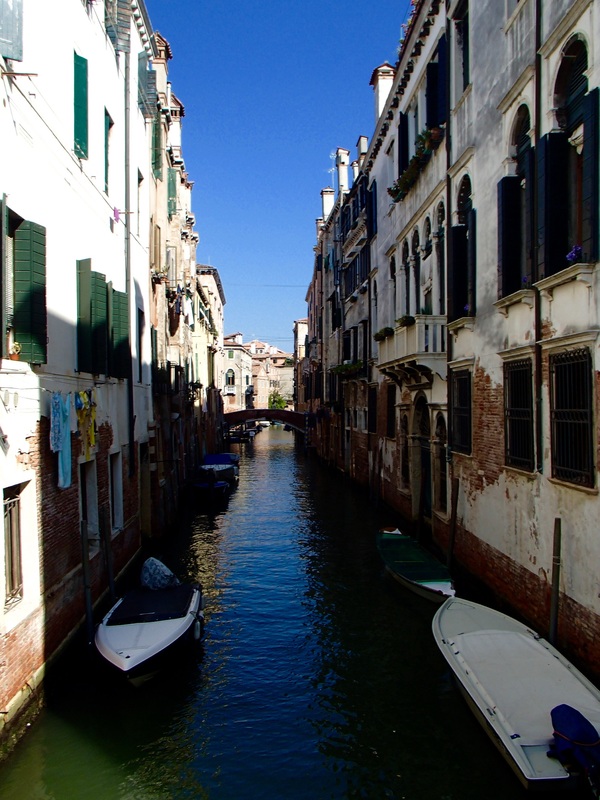 There’s no avoiding it — rooms in Venice are expensive. Determined to avoid an overpriced tourist trap hotel, we scoured AirBnB for weeks leading up to our trip. Our efforts paid off — we found an adorable two bedroom apartment that fit comfortably within our $40/pp/nt budget on the island of Guidecca. Once again, AirBnB for the win! Not only was it great to have space to spread out and a full kitchen at our disposal, but our host was super nice, providing us with a map and overview of the island. Haven’t heard of Giudecca? Neither had we. I’m now convinced it’s Venice’s best-kept secret. The island is only a 5-15 minute ferry ride from the main part of Venice, but it’s a world away from the hoards of tourists. In place of the pricy tourist shops are local markets and a handful of small restaurants. 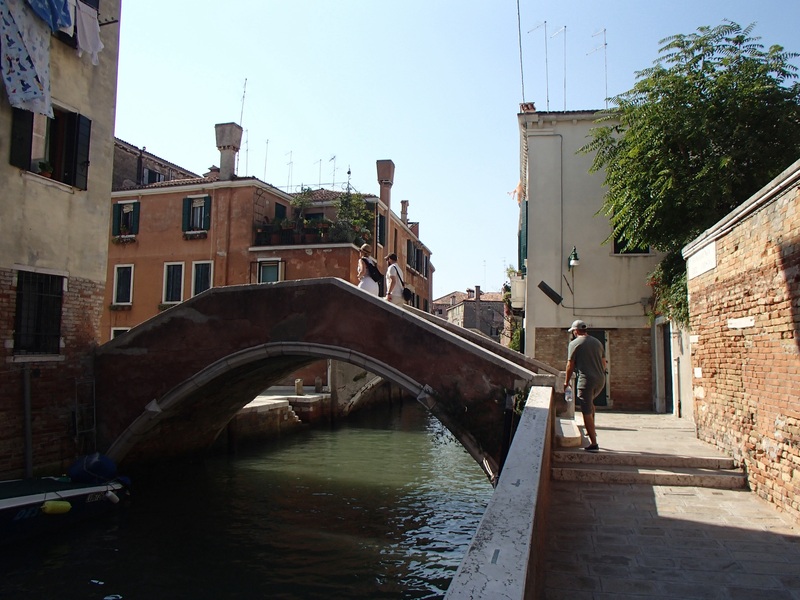 Our host described it as the place where students studying in Venice live due to it’s proximity and affordability. We were sold! Single travelers: Giudecca is also home to Generator Venice, an upscale hostel where we spent a night while waiting for our friends to arrive. It’s on the pricy side for hostels, but the beds are comfortable and there is an extensive bar downstairs. Plus, the sunsets from just outside are stunning. 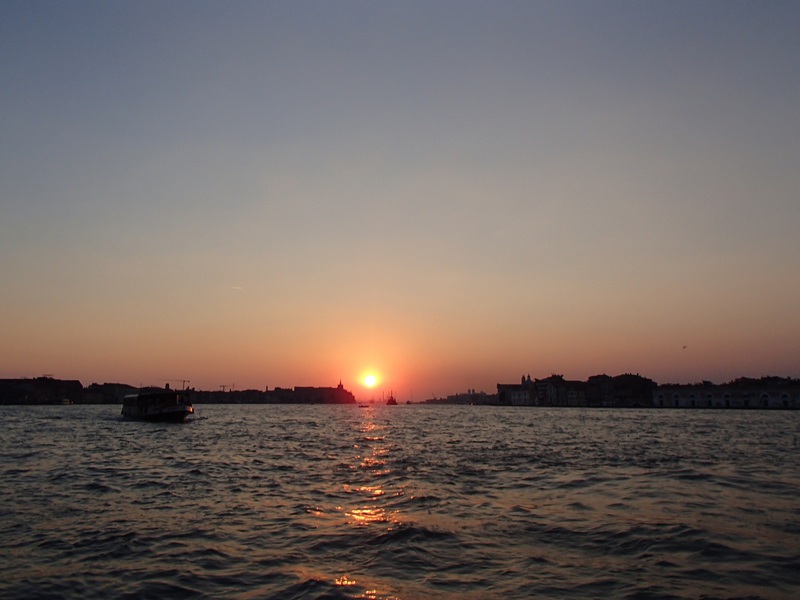 Budget Tip #3: Stay on Giudecca. Venice can be a bit overwhelming at first, so it’s helpful to have a rough plan. For us, we knew we wanted to spend some time wandering the town, eat seafood, check out the nightlife, and hitup the nearby islands. Our first night we were so excited to see the city and catch up that we may have partied a little too hard, finishing off the night with tequila, cartwheels, and close encounter with a pickpocket posing as a flower salesman. Luckily the boats back to Giudecca run all night, and we didn’t have to be anywhere before noon the next day! Since we slept through our first morning we opted to take it easy and explore the island that afternoon. As I mentioned it’s actually super walkable and you can spend hours meandering along the tiny streets. Our second full day together was spent exploring the nearby islands. Our first (unplanned) stop was San Michele, one of the most stunning cemeteries I’ve visited. The idea of having a whole island dedicated to honoring those who have passed on was really moving, and I loved the photos and flowers on all of the memorials. The next stop was Murano, famous for it’s glass factories. 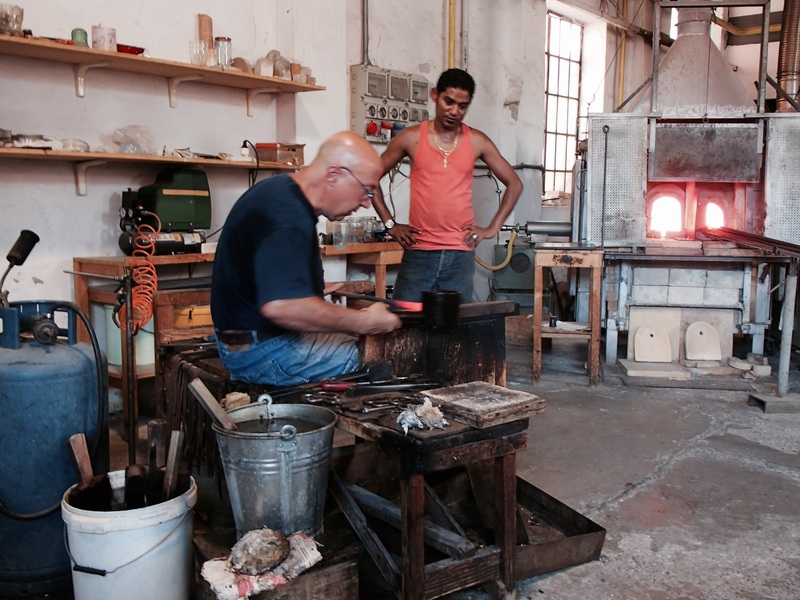 We dropped in on a glassblowing demonstration at one of the oldest factories on the island (€3/pp). It was incredibly cool to watch the master glassblower practicing his craft — we were blown away (ha) by his precision and skill. From Murano it’s a quick hop over to the other island of Burano — a small fishing village turned tourist-trap. 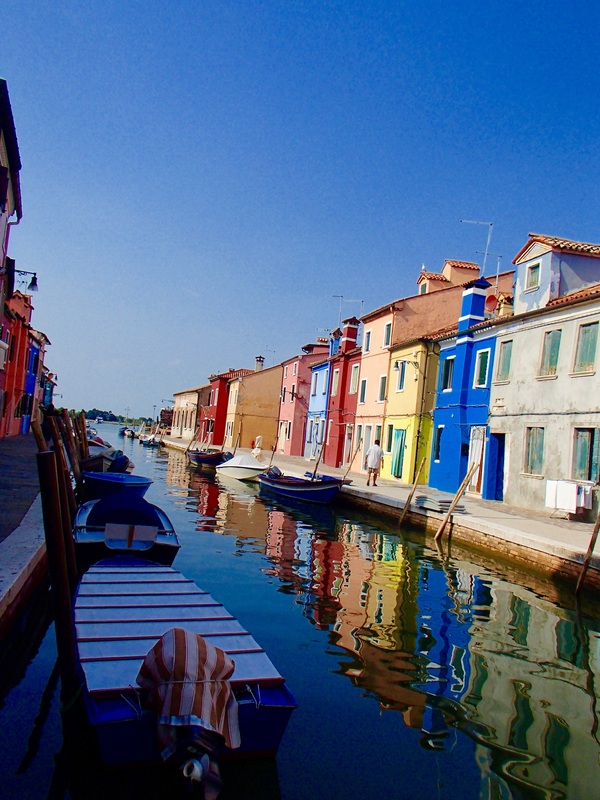 In spite of the overwhelming touristy feel to it, we couldn’t help but fall in love with the brightly colored houses set on tiny canals filled with tiny fishing boats. Wandering down the side streets we’d catch small glimpses of what life used to be like: elderly ladies sitting in open doorways gossiping and crafting Burano’s famous lace. 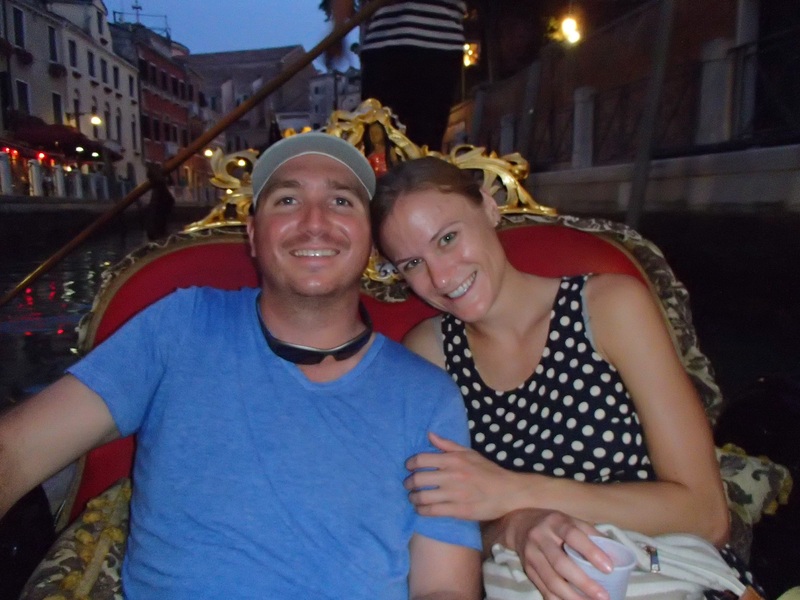 We finished out our last night with a Gondola ride through the canals at sunset. This was definitely a splurge on the budget, but absolutely worth it to travel some of the smaller waterways that the ferry boats can’t fit down. Our gondolier was great too, having lived in Venice his whole life and sharing with us the process it takes to become a gondolier. Yes, its expensive; yes, it is super touristy; yes, it is TOTALLY worth it! Budget Tip #4: Gondola rides are €20 less during the day: try to make it before 7pm! It’s still on the pricy side, but after learning of the intense schooling, apprenticeships, boat costs, and licensing that gondoliers need to go through I can understand why. It makes the US taxi system sound simple! Budget Tip #5: Remember that unlimited boat pass? It even covers the ride out to Murano & Burano. If you catch it at off-peak times you can grab a seat on the deck and enjoy the breeze. 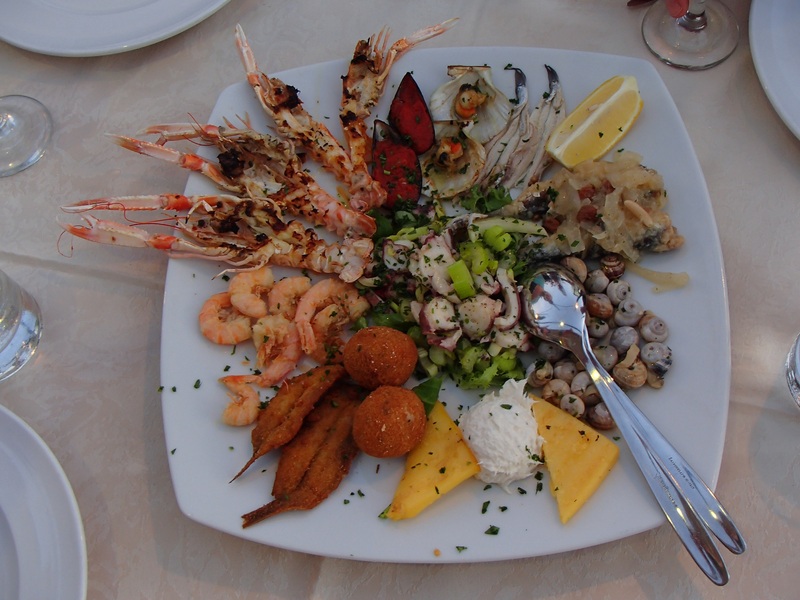 Nothing beats fresh caught seafood, except maybe the view we had eating it! Ristorante dal Storico: we stumbled on this place our first day here and the food was as good as the view. Most unique dish: tiny softshelled crabs that you eat whole. Giudecca wine shop: This gem may have been our wallet’s best friend, and our liver’s worst enemy. We dropped in hoping to pick up a few bottles of cheap Italian wine for late night Euchre sessions and left with four 1.5L bottles of local house wine, all for less than the cost of a single bottle (~€16). Trattoria Ai Vitrai: The calamari! I don’t usually rave about fried food, but the calamari here was hands-down the best I have ever had. Patio bar in (one of the many) plazas: The drink list was fairly average, but for atmosphere you can’t beat it. Sitting outside on a warm night, next to some of the most historic buildings in Venice, glass of Italian wine in hand — perfection. Cappuccini. That’s plural for cappuccino in Italian. Plural, because they are so good that you’ll want more than one. Trust me. Budget Tip #6: Watch out for the coperto. While tipping is not standard in Italy, many restaurants charge coperto: essentially a per-person charge to sit at the table. It’s usually listed on the menu, and can be avoided at most coffee shops by drinking your beverage at the counter rather than sitting down at a table. Budget Tip #7: Drink local. Rather than paying an exorbitant amount for expensive imported drinks, drink like a local and order the house wine/local booze. While it may not always be as nuanced as the more established brands, when you’re in the middle of an excellent wine region you can almost never go wrong. Plus, local drinks tend to pair great with local dishes, at a fraction of the price. Budget Tip #8: Timing! Skip the summer months and hit up Italy in September. It will be less crowded and much easier to find accommodations once kids of all ages have gone back to school. And the weather is still HOT. Happy Travels! * Caveat: the boat must ALWAYS remain in sight of land. I also get horrendously seasick. I don’t know if you’ve ever experienced getting seasick after drinking copious amounts of red wine ( I hope you haven’t ), but it’s pretty much the worst thing ever.